The Tournoi du Faucon Noir is the Black Falcon School of Arms' annual Deed of Arms, taking place over the course of the Hauke Swordplay Summit. 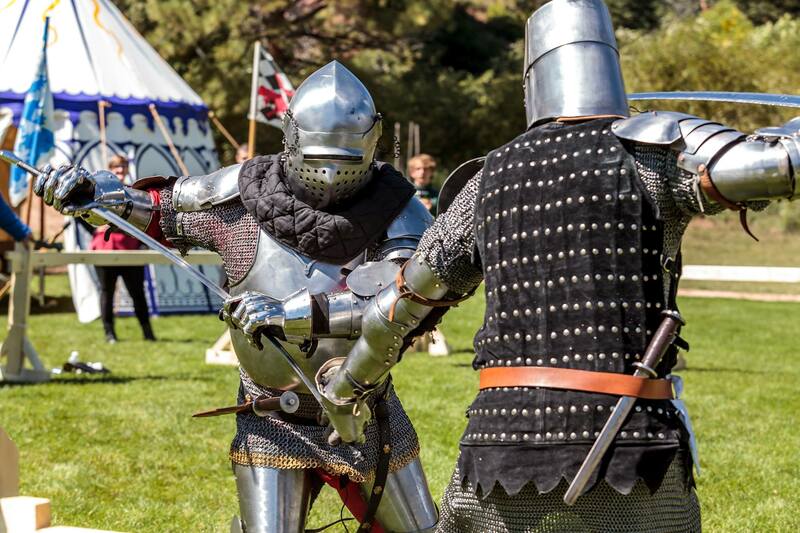 In the shadow of the historic Abbey in Canon City, it is the crowning event of the year's training for those in the school who practice armored and unarmored combat, and a chance to show off to each other, guest schools, and the public at large what it is that we do. Combat with spear, pollaxe, dagger, sword & buckler, and longsword determine the winner of the day. Hosted by southern Colorado's premier HEMA school, this event is open to the public for viewing. Participants of all HEMA schools or historical re-creation societies are welcome to participate, provided that they bring their own armor and weapons that pass inspection (rules below). Colorado's front range's Deed of Arms is the place to be in the waning days of spring for all students of HEMA or medieval chivalric culture! The Tournoi du Faucon Noir follows the Palmer Accords, which are intended to encourage chivalric fighting consistent with a formal Deed of Arms of the late 14th and early 15th century. The full rules can be found here.